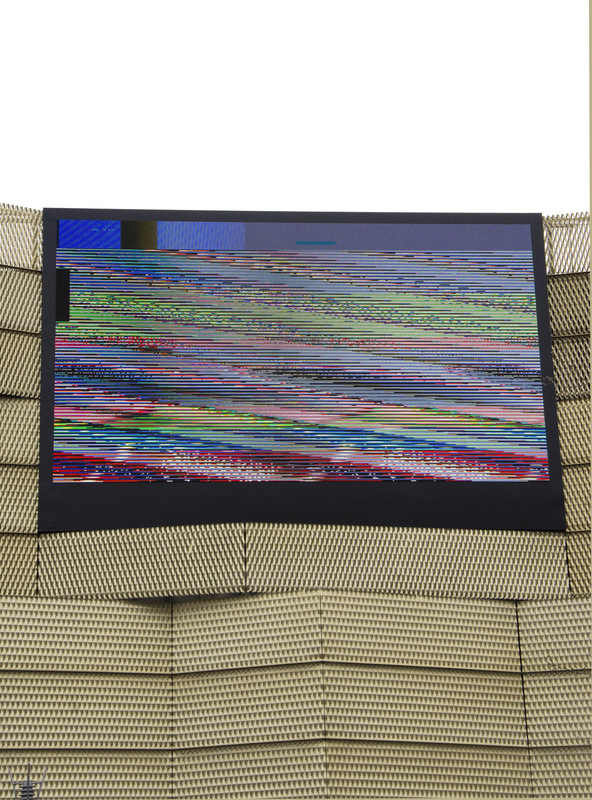 Possibilty 1_ A series of glitch images is shown on a large LED screen which is normally used for advertising. The sudden, unusual temporary malfunction might be mistaken by a passer-by as a fault of equipment as they wonder when the screen will be fixed. 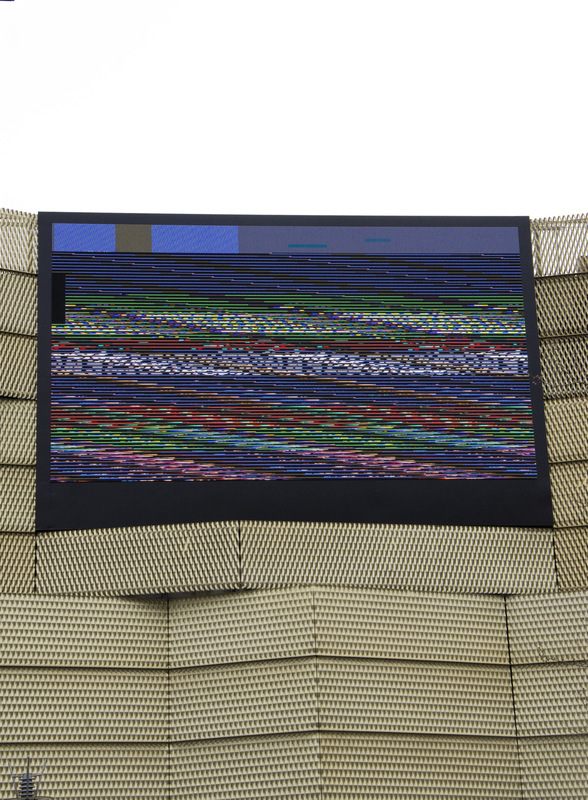 Possibility 2_A series of glitch images is found on a large LED screen which is normally used for advertising. 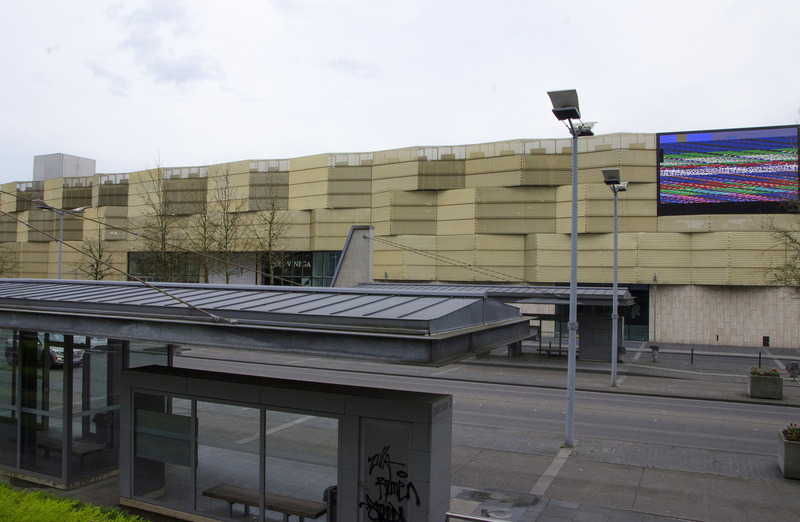 The sudden, unusual temporary malfunction was noticed by an artist an appropriated as a self-made piece of art. Possibility 1 as well as possibility 2 can be seen as an act of serendipity and both options were created by computers instead of being mastered by a trained hand. In the age of hyperrealistic imagery where the meaning of concepts as “real” and “original” needs to be reconsidered, “Glitch” questions the position of the real and original artwork. By claiming an automated, found image, the position of authenticity and copyright in a digital age is put into question. 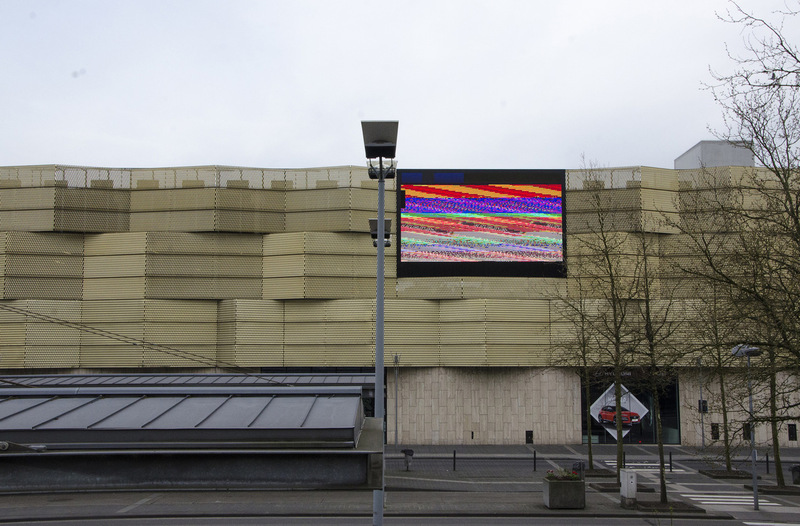 After all, what’s the difference between databending images by using personalised tools or by finding a glitched image in public space?